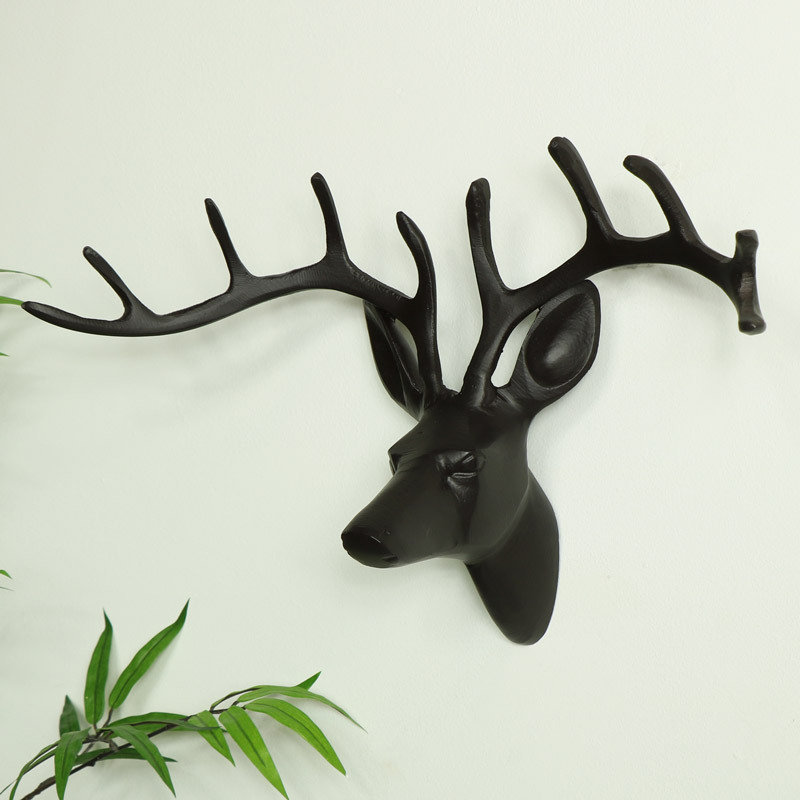 This Wall mounted stag head in a matt black finish is perfect wall decor for a industrial, rustic, retro or mid-century modern interior. A great decorative home decor accessory for bedrooms, kitchens, living room or hallways. Would look fabulous in a gallery wall. 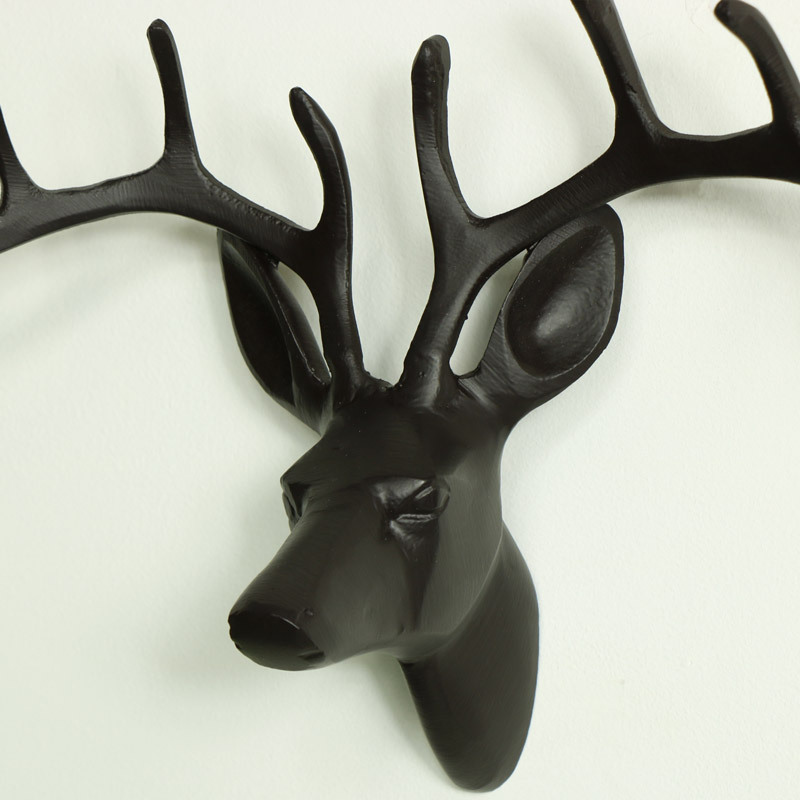 With a great range of stag & deer heads to choose from in selection of sizes & colours. All of our animal heads come taxidermy free for the animal friendly choice. This stag head will make a dramatic statement in any interior. This Wall mounted stag head in a matt black finish is perfect wall decor for a industrial, rustic, retro or mid-century modern interior. A great decorative home decor accessory for bedrooms, kitchens, living room or hallways. Would look fabulous in a gallery wall. 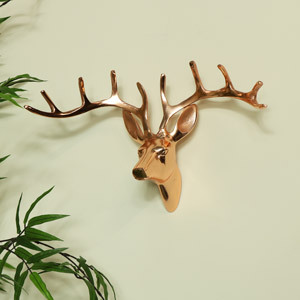 With a great range of stag & deer heads to choose from in selection of sizes & colours. All of our animal heads come taxidermy free for the animal friendly choice. 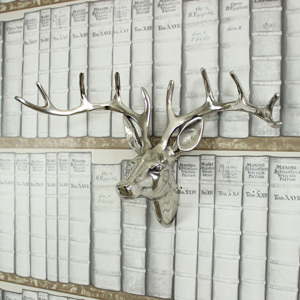 This stag head will make a dramatic statement in any interior. Made from metal and finished in a matt black colour. Easily wall mounted with a hole on the back for hanging.